From Rembrandt to Vermeer, Dutch artists have pioneered artistic movements and styles, and their presence is felt strongly in contemporary art to date. Theo Jansen, Levi van Veluw and Robert Overweg are three contemporary Dutch artists who intertwine technological concepts, personal themes and social commentary into their work. Born in 1948 Theo Jansen is an artist who is revered for marrying art and engineering and for actively promoting this multidisciplinary relationship. Jansen originally studied physics at the University of Delft, which explains his flare for the more technological side of his inventive process. Jansen’s body of work mainly consists of creating his ‘beasts’, kinetic sculptures that he has been developing since 1990. 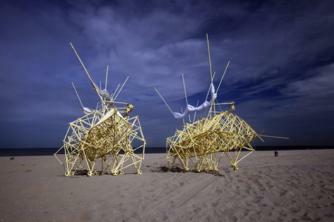 These complex engineering feats resemble large creatures who forage along Dutch beaches. Their mannerisms are so animalistic that they induce a sense of emotional attachment for those watching them. The advanced engineering within the core of these kinetic sculptures is the secret behind their natural movement and adoption of amazingly realistic characteristics. Their ‘stomachs’ consist of plastic bottles which, when full of air, power the motion of their legs made from tubes moving in and out, as their wings flap in the sea breeze. Jansen relies on natural sources, namely the wind, to bring these animals to life. As a source of power, wind provides endless possibilities for Jansen’s designs and therefore these creatures can only develop further. Janson describes them as ‘skeletons that are able to walk on the wind, so they don’t have to eat’, and through this he has created self-sufficient creatures. Jansen’s design and form of power has inscribed a longevity into the lifeline of the ‘beast’s’. By producing them from plastic yellow tubes Janson is continually developing his creatures to adapt to all weather conditions. The artist is regularly producing more independent and advanced beasts with the goal of one day releasing these ‘animals out in herds on beaches, so they will live their own lives’. Although Dutch artist Levi van Veluw works primarily with photographic portraiture, installations and drawings, he also dips into other forms of expression. van Veluw utilises the impact of repetition to engage with personal issues and societal perceptions on value. Through his photographic portraiture the artist experiments endlessly with the visual relationship between one constant and endless variables, the former being his face and the latter being transferable materials. 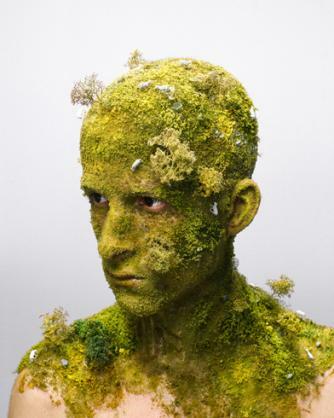 Through his serial works, Jansen explores the visual associations and representations of readily available materials, such as his 2008 Landscapes, where van Veluw sculpted landscapes over the contours of his face. In today’s materialistic society, where value is measured by a price tag, van Veluw’s inclusion of natural and available materials questions the value of ‘things’. The process itself masks expressive facial qualities, thus turning his face into a object. By repeating this objectification throughout his work, van Veluw as a participant becomes less noticeable and his face, an entryway to his identity, becomes concealed and obsolete. In turn, this places emphasis on the visual impact of the piece and van Veluw’s alternative use of materials. In this technologically enhanced world there has been a shift, not only in expectations, but in perceptions. At first glance, the portrait series seems digitally enhanced and, as a viewer, one almost expects it to be. However, van Veluw’s works completely reject digital manipulation and rest instead on craftsmanship. van Veluw’s beautifully crafted installations, such as Origin of the Beginning (2011), involve similar techniques. However, repetition now becomes fundamental to the piece. 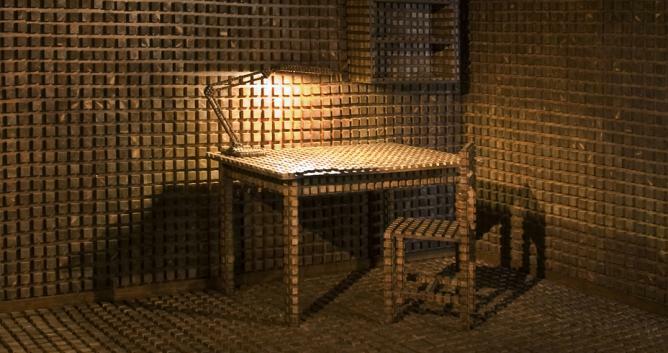 Jansen’s installation works typically depict rooms made from hundreds of wooden blocks, each one hand crafted by the artist. The eye is confronted the sheer number of these blocks and this use of repetition, of recurring forms, is immediately disconcerting. van Veluw’s installations are manifestations of past memories, Origin of the Beginning being his childhood bedroom. With its obsessive echoing of forms, van Veluw’s work is revealed as a kind of struggle, as he goes over issues as a vehicle for working through them. This scramble to regain control and understand the past perpetually fuels and informs his artistic practice. Robert Overweg studied graphic design and works both for clients and on his own personal projects. 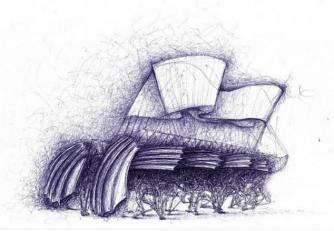 Overweg’s background in design has given him an ability to translate conceptual ideas into realistic entities. His experience using different technologies within an artistic context has informed his work, in which he focuses primarily on the interaction between real and virtual worlds and transfers this relationship into an artistic arena. As pockets of society transcend deeper into virtual realms, the world is witnessing real life elements being transferred into their virtual equivalents; on-line game tournaments and 2D experiences within a ‘sim’ city. The appeal of this paralleled world is simultaneously intriguing and eerie, and Overweg’s work taps into this curious unease. 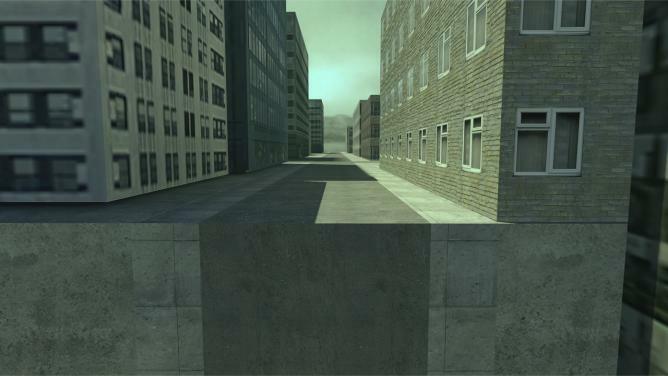 In contrast to Levi van Veluw, Overweg’s images from his series the end of the virtual world appear realistic, yet on further inspection are, in fact, images from popular first person shooter games. 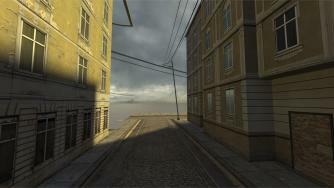 Overweg navigates his way through these worlds to where the buildings suddenly stop and roads end; he has reached the edge of his virtual world. This idea resonates with the scene from the Postmodern masterpiece The Truman Show, in which Jim Carrey’s character abruptly sails into the edge of his constructed world. It is one’s encounter with the edge that creates a discomfort within the viewer, as their rendered bluntness evokes a contrived and characterless aesthetic. It is at these edges and peripheries that Overweg takes a screenshot, becoming a ‘virtual photographer’. Overweg’s work is a social commentary on methods of living within contemporary culture, which sees ‘a direct extension of the physical world, revealing the new public space of contemporary society. He confronts societal, personal and visual aspects running through extremely contemporary themes.